The 2017 NCAA Football Championship Playoff consisted of Clemson University, University of Alabama, Washington University and Ohio State University. Each school has over 25,000 students and all four have rich athletic traditions. However, even with great athletic cultures and gigantic student populations, only one of the four universities has a quidditch team. Quidditch’s main source of growth and expansion comes from collegiate teams, whether they’re new or old. 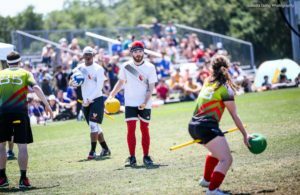 Collegiate teams spread quidditch to a new population with each incoming class and continue to build a highly-competitive player base. However, collegiate quidditch is facing a massive problem with the impending college/community split: It is no longer expanding and some storied college teams are struggling. According to USQ, there are 98 official college teams—this total does not include B-teams, as they must be registered as a community team. 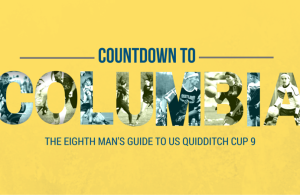 However, there is a way to help improve upon this number, overall expansion and level of play of collegiate quidditch. That is through the help and assistance of passionate community players. Community players are generally some of the most committed and influential people in the sport. This is due to the fact that many of these individuals have been around the sport longer, led and managed multiple teams or just enjoy playing and being active so much that they made or joined community teams. As a result, they are the ideal volunteers to assist the struggling collegiate quidditch system. Community players have the potential to use their knowledge and experience to help college teams on two fronts. The first is by supporting current college programs, which can be in the form of coaching or helping with logistics, recruitment or finances. Experienced coaching can make a huge difference for any team. The experience, wisdom and training a coach can bestow on a team is hugely beneficial—especially to players who are new to the sport. Unfortunately, coaching in quidditch has been limited to a point where few non-playing coaches exist. As a result, it leaves many players to figure out training on their own, or forces players who are trying to peak in their later college years to take time training new players. This is where the split and abundance of community players can be beneficial. Community players would make perfect coaches due to their wealth of experience, with many playing at the highest level on a regular basis. While not all players are fit to be coaches, any level of assistance would certainly help the development of many teams—and would allow a team’s best players to focus on training themselves. Community players such as former Lone Star Quidditch Club chaser Simon Arends and former Quidditch Club Boston chaser Sheldon Bostic have already begun coaching the University of Texas and Brandeis University, respectively; two teams at different levels of skill who have seen success in relation to their talent with this coaching. The other support community players could provide for college programs is to help them with logistics, recruitment and finances to keep programs growing. As college teams’ leaderships change, logistics, recruitment tactics and fundraising techniques may not always be passed down, leading to instability. By sharing insight, community players can assist in the growth of current college programs, making them more stable. Teams such as Iowa State University, University of Southern California, University of North Texas, University of Florida, University of South Carolina, Virginia Tech and Wichita State University have faced issues with numbers this season that have led to these programs either registering as community teams or not registering altogether. Community players could help leadership of these struggling teams actively keep numbers up and lead the programs to more stability with a consistent basis of players to compete each season. Expansion has long been one of the most confusing and troublesome areas for today’s competitive era of quidditch. Whether it is state or regional coordinators trying to expand interest or finding support for large events in areas, expansion has regularly been unsuccessful. But one proven method the sport has seen recently is when a former or current quidditch player starts a new team at a university. 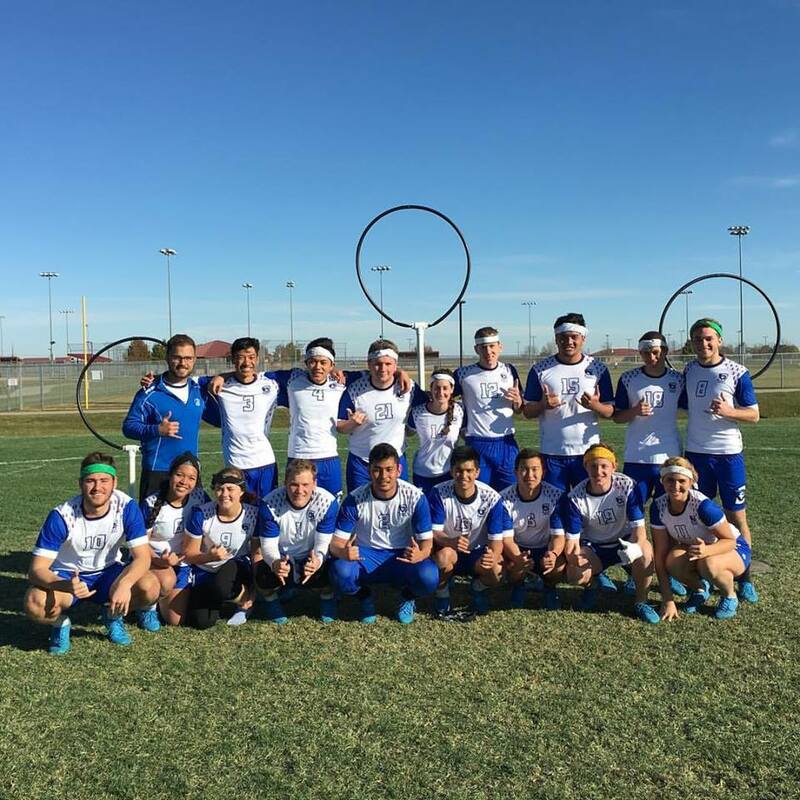 In the past couple years, three new teams at large universities have emerged and all are now official teams due to former quidditch players’s involvement: University of Wisconsin, Creighton University and University of California-Irvine’s Anteater Quidditch. 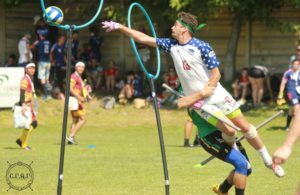 Chris Noble, a former Team United Kingdom player; Curtis Taylor, the founder of Marquette Quidditch and South Regional Coordinator; and Jamie Luby, former UCLA player, started and fostered each respective program. These players helped create teams at local colleges they’re affiliated with and assisted them at their earliest and most crucial stages. By founding these teams, starting practices and recruiting players, these teams were led to be logistically and competitively ready for USQ. Due to the efforts of Noble, Taylor and Luby, each of the aforementioned programs has become a competitive team in their respective region. Let’s look at the three teams’s 2016-17 seasons: Wisconsin went 2-2 and plans to go to compete in their regional championship the 2017-18 season. Creighton University went 5-9 and attended the Midwest Regional Championship. 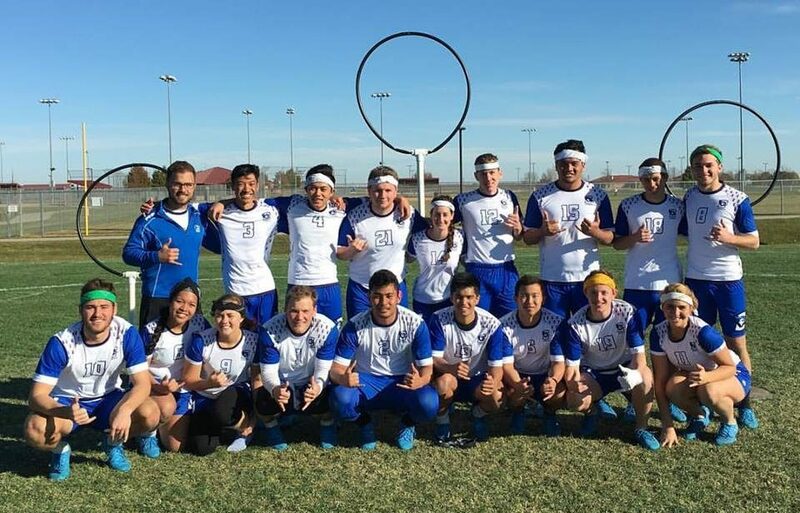 UC Irvine qualified for US Quidditch Cup 10 with a pre-regional championship record of 6-8. While none of these teams have winning records and only one was seen in Kissimmee, Fla., the existence and successes of each are significant for the sport’s future. Large universities arguably have the potential to reach more new quidditch players than any other method. Furthermore, these universities are generally schools with storied athletic programs, thus making them the most recognizable to athletes and spectators—which can be a major step in the continuation and legitimacy of quidditch. “How do I still play?” This is the biggest question coming from community players as we look forward. While the split could lead to the aforementioned support between community players and collegiate programs, more community players are wondering how they can still play the sport they love. Asking them to stop playing to just volunteer their time with college programs would not be feasible, as many are at the peak of their game. Thus, community veterans need to seek a balance between playing opportunities and supportive ones to secure bright future for the sport. The establishment of MLQ has led to an obvious choice for community players. The organization has become a strong, well-organized and exciting league of semi-professional quidditch during the summer. With coaches, team managers and a volunteer staff who has the players’ voice at heart, joining MLQ is a no-brainer. With many community teams already in cities with MLQ teams, community players have a structured place to continue playing at one of the highest levels in the sport. The second option community players have is the possible USQ season community league. While only USQ officials know what that may entail, there is no way a community league for USQ will not be created. Whether the league allows college and community play outside of regional championships and nationals or is only community based, there will still be games and competition for all levels of community teams during the year. One option could be if USQ made the community league into a half-season, allowing for a couple months for an offseason in-between MLQ and USQ seasons. But that’s a discussion for another article. In the end, community teams will have the opportunity to play during the USQ season—even if it means having to step up with organizing those opportunities.